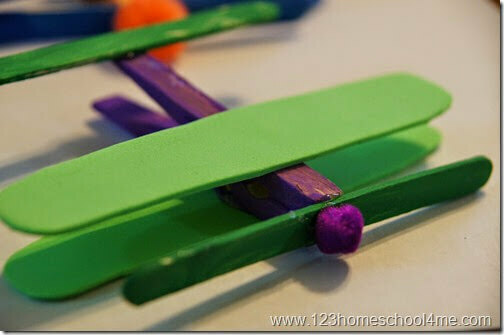 Kids will love making this super cute and simple airplane craft. It is perfect for an A alphabet theme for Preschool or Kindergarten, to go along a book you are reading, or just as a fun kids activities. 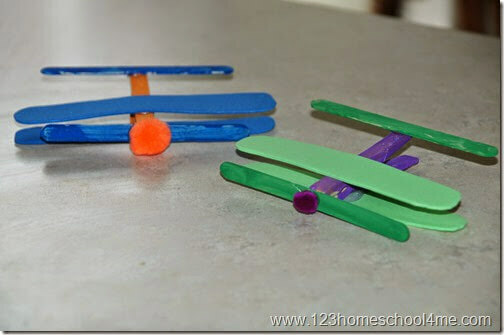 Whether you are looking for a fun-to-make craft for the alphabet letter A or just to follow your child’s interest, your kids are going to love this super cute and easy to make airplane craft for kids! 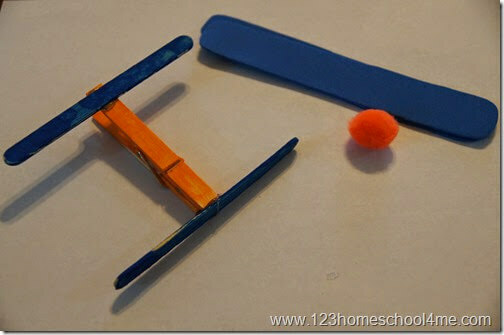 This airplane craft is great for Toddler, Preschool, Kindergarten, 1st grade, 2nd grade, and 3rd grade kids. 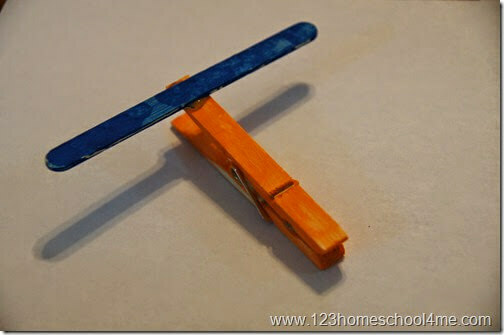 First, for each airplane you plan to make, you need to paint a clothespin one color, and two popsicle sticks a different color. 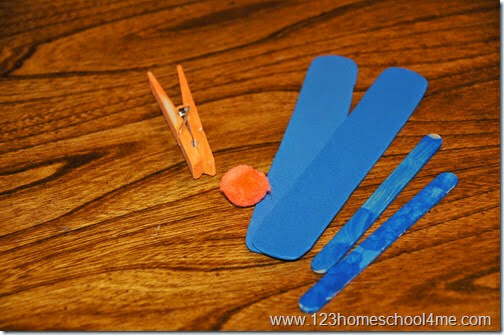 Using your hot glue gun attach one of the popsicle sticks to the back of the clothespin. 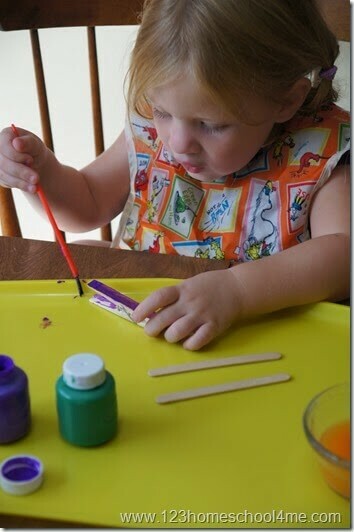 Now attach the remaining popsicle stick on the part of the clothespin that opens. Next attach the pom pom in the middle of the front popsicle stick propeller. Finally, attach the two craft foam wings, one to the top and one to the bottom. 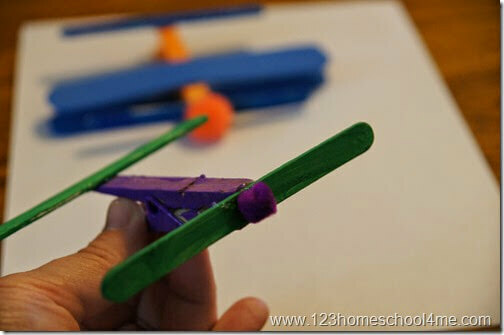 Here is your simple, cute airplane craft for kids. Now it’s playtime!